﻿ 9 Caloocan Metro Manila Condos by Camella For Sale. 9 Caloocan Metro Manila Condos by Camella For Sale. Amaia square NOVA is a residential development by Amaia Land. The development is commonly known as a shophouse because shops or stores occupy the ground floor of the residence while the second floor is used as private quarters. Owners are treated to a commercial space just below their home. The aim of the developers, Amaia Land, is to provide convenience to the community with their other projects that include Amaia Series and future single residents. The city will provide different modern conveniences like laundry shops, convenience stores, food stations that will make the lives of its citizens easier.Amaia Square NOVA is located at Susano Road, Brgy 170, Caloocan City, Brgy San Augustin Novaliches. The location is just 3 kilometers away from SM Fairway and Fairview Terraces. It is accessible from Mindanao, Commonwealth Avenue, and Caloocan through Zabarte road and Camarin. It is also accessible from NLEX through the Mindanao Avenue Link and Malinta exit. The nearby establishment in the area includes La Consolacion college and St. Luke school.The project has no amenities because of it being a retail strip, but it does have different features like a standard parking slot, Multi-purpose deck, an administrative office, and common comfort rooms. The project has two unit types, the two story, and three story unit. The two story unit type has an area of 59 SQM to 60 SQM and a price ranging of Php 4.8M to Php 5M. The three story unit is also available for Php 5.8M to Php 6M and has an area of 89 SQM. Camella Alora is a clustered residential development that is located within the already built Camella Nova Romania in Caloocan. The development is one of Camella prime residential community with different amenities like a perimeter fence, an entrance gate, clubhouse, swimming pool and so much more. The community is strategically located in one of the most prominent landmarks in the community. 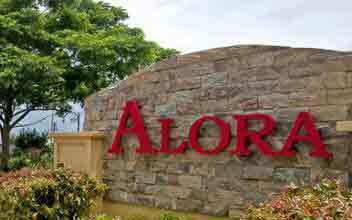 Camella made the development.Camella Alora is located in Bagumbong, Deparo, Bignay. Getting a good school for your children has never been easier with the location of the development being close to different prestigious schools like Fatima University, Sacred Heart, St, Augustine, and AMA. The development is also close to various hospitals like St. Blaise clinic, Bernandino hospital, and San Lorenzo clinic. It has other important establishments like malls and place of worship around it. They include Mother of Redeemer Parish, Sta Clara Church, Our Lord of La Naval, SM Fairview, Zabarte Mall, Bagunbong Market, Deparo Market, Bignay Market and United Methodist Church. The Deparo UV Express Terminal station is also in proximity to the development.The village is packed with different amenities for the comfort of the residents.It includes a perimeter fence and a gated security entrance for the protection of the citizens.Other amenities in the village include a clubhouse, gardens, parks, playground, and of course a swimming pool.The development offers different house models as unit types; they include Carmela, Drina, Carina, and Mara. 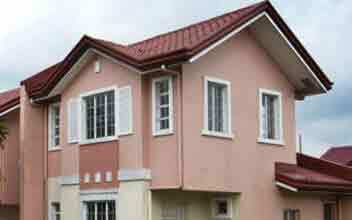 The house models have different floor area and lot area with various prices. The price of the residences starts from Php 4.2 M and up. Camella Altezza is one of Camella residential development in Caloocan. It is also part of the Camella Nova Romania- the beautiful 18-hectare community with all sorts of modern conveniences and first class amenities like its new clubhouse, garden, pools, and a multi-purpose park for different community activities and family gatherings.The development is located at Bagumbong, Deparo, Bignay in Caloocan. It is accessible through the Deparo Road when passing via St. Dominic Subdivision and also through the Bagumbong-Bignay Road. The development is near Bignay road, Deparo road and Bagumbong road, different transportation means as the jeepney, tricycle, taxi, and Pedica can also be used to move in and out of the residents.The location of the development gives it proximity to all the family needs. It is close to different business, commercial and modern conveniences like schools, hospitals market, malls, and so on while it also has access to the main cities like Quezon City and Manila. Nearby malls in the area Zabarte Mall, SM Fairway and nearby markets area Bignay Market, Bagumbong Market, and Deparo Market thereby giving the residents plenty of options when buying their essentials. The development is also close to different schools, hospitals, and churches like Deparo elementary school. Binay High School, and Recom Echiveri High school, Mother of Redeemer Parish, San Lorenzo clinic, Bernandino hospital and so on. Camella Altezza is packed with different amenities like the playground, the clubhouse, swimming pools, garden, parks & playground, and so on. The development offers different unit types at a starting price of Php 4.25M. 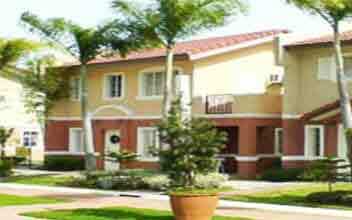 Camella Avisea is a small budget luxurious residential community in Caloocan. Camella made the development, and it features the best of luxury and modern amenities in the area. Camella Land feels that an important part of providing quality homes is making it a form of community living. The community is fun and welcoming with a secure and safe environment for your loved ones. Camella Avisea is envisioned to be a haven and a perfect dream house for different families in the Philippines.Camella Avisea is located in Bignay, Deparo, Caloocan. The development is close to several urban conveniences like malls schools, place of worship, hospitals, and so on. Some of the well-known establishments in the vicinity include Our Lady of Lourdes Parish, Divine Mercy Academy. Zabarte Mall, SM Fairview, Son Lorenzo Clinic, and so on.There are also different means of transportation in the area to get to these places; they include jeepneys, pedicab, tricycle, and taxi.Like most of Camella properties, the Camella Avisea has different social amenities for the convenience and comfort of its residents; they include swimming pool, parks, playgrounds, and of course a clubhouse.The development has two different house models for home buyers; it includes a single-attached two story residence with a floor area of 40 SQM while the other is a two bedroom apartment with a slightly bigger floor area. The development has a different unit size to match the various tastes of the clients. 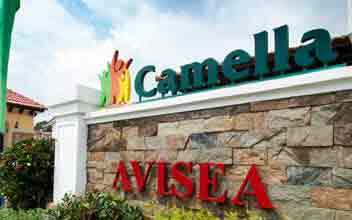 Camella Avisea is available for a Php 2.28M and up depending on the unit type and size. El Paseo is a five-hectare residential development with a Mediterranean theme in the midst of Caloocan City. The development has it all with its location, appearance, and amenities were top notch and best of their kind. The development is a dream house for residents in the Metro. The community is amiable and peaceful with beautiful landscapes. The point of the development is to provide a haven where residents can relax in peace at the end of the day and also have access to the city whenever they feel like going. The development is very safe and secure; it is restricted to outsiders for security purposes.El Paseo is located in Bagumbong, Caloocan City. Some major establishments cover the event as its landmark. Some of them include schools like Our Lady of Angels schools, La Consolacion College, Young Achievers schools to give the best education to your children. It also has hospitals and medical institutions like St. Blaise Clinic, San Lorenzo Clinic and Bernardino hospital in its vicinity in case of any medical emergency. Other famous establishments in the area include Sta Kruz Parish, Zabarte Mall, SM Fairview, and Sto Nino De Congreso Parish. El Paseo is filled with different amenities for the convenience of the residents, some of them include a clubhouse, parks & playground, a basketball court, pocket park with garden, swimming pools, and picnic areas. The development has different unit types with different price range and area. The El Paseo is available for Php 4.2M and up. 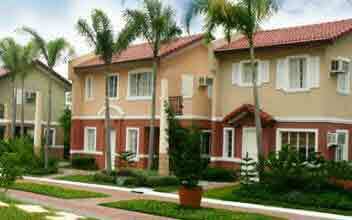 Grande Vita is a residential development in Caloocan developed by Camella. The development has a grand Italian inspired entrance gate that gives a warm welcome to all visitors and residents alike. The best feature of this development stands as its affordability, architecture, and accessibility.Grande Vita is located Bignay, Caloocan, Metro Manila. The location is located within the business and commercial hubs and is accessed through major roads and different alternate routes. It has malls like SM Fairview and Robinson’s Mall just a few minutes to it. Choosing a prestigious school for your children has also never been easier with the location having schools like Ateneo, Miriam College, and U.P in its vicinity. It also has different food markets around it. Camella has made sure that everything you want in Grande Vita is within your reach.If you're looking for privacy and security, Grande Avila is perfect for you. The development is laced with features like perimeter fence, an entrance gate with security, and streets lights to ensure the safety of their residents. The Grande Avila is also filled with different amenities that brings families together for quality time. They include the basketball court, multi-purpose hall for various kinds of occasion and fun, clubhouse, pocket parks with gardens, picnic areas, and children's playground where the kids in the area can have a good time and socialize with their peers. The development offers Lot Only and House and Lot package at a price range of Php 1.6M to Php 2M.The lots have different sizes, and they range from 42 SQM to 63 SQM. Mirabella is one of the many Camella project located in Caloocan. The project is built as part of the Camella NOVA Romania. Camella NOVA Romania is an 18-hectare residential community by Camella. The city is filled with different social amenities including a perimeter fence and an entrance gate with security to protect the residents of the community. The development is full of many breath taking views; it is also readily accessible from Quezon city and Manila via the Commonwealth avenue thereby making it a perfect community to build an upstanding family. The estates are very exclusive with peace thus giving residents a chance to spend quiet and quality time with their loved ones. Although the property is private, it is not like all the other dull estates. It has all the necessary amenities to live in luxury and also has a location that gives residents to have a fair share of the city. Mirabella is located in Bagumbong, Caloocan City. The development is very accessible and has different landmarks surrounding it. The development has various locations of worship like the Sta. Kruz Parish church and the Sto Nino de Congresso Parish around it. It also has different schools, malls, and hospital around it, some of them include Zabarte Mall, San Lorenzo Clinic, Young Achiever school, and much more Mirabella has different unit types including a single firewall and a townhouse. The unit comes with various areas and price. The price of the residence ranges from Php 1.2M to Php 5M. The size of the group also ranges from 35 SQM to 45 SQM. Nova Romania is a 28-hectare residential community developed by Camella. The development is inspired by Mediterranean community and has five prime residential phases namely Altea, Alora, Altezza, and Nova Romania 1 & 2. 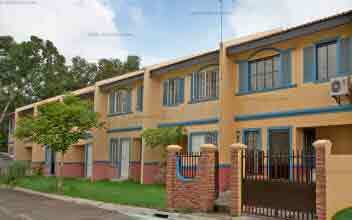 The community is located in the bustling suburb of Novaliches and Caloocan along the Deparo road. The development can be easily accessed through Quezon city and Manila through the Commonwealth avenue. The development has pure pleasure and privilege to enjoy starting from it well thought first class amenities and facilities to the real comfort of a home it provides in the secure and beautiful community. Nova Romania is one of its kind with its beautiful Italian architecture located in a sprawling expanse in Novaliches, Caloocan City. Nova Romania adds value to the concept of urban living with its unique location; the development is located right in the city making it the best choice for home buyers in Caloocan. 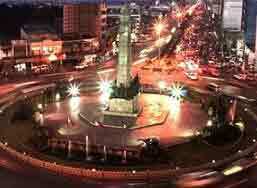 Nova Romania is precisely located in Deparo, Caloocan, Metro. The development is located near shopping malls like SM City Fairview and Zabarte Mall; it is readily available through the Susan Camarin Deparo Zabarte Road and Common Wealth Avenue. The development has important establishments like school, hospitals, and markets as its landmark, some of them include Deparo Market, Deparo elementary school, St Lorenzo clinic, and Bernadino Hospital.The development is located in a secure and community friendly environment with different social amenities like the swimming pool, Basketball court, and parks & playground. 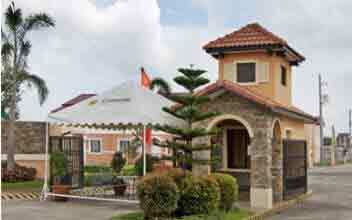 It has different house models to choose from at a price range of Php 1.7M to Php 2.3M. Camella Seville is one of Camella properties located in the vibrant suburb of Novaliches and Caloocan. The development is right along the Bagumbong road and accessible through Quezon city and Manila through Commonwealth Avenue. The residence allows residents the pleasure of the comfort of home in a beautiful and secure community. The development is a perfect mix of both suburb and city life at its best. Residents get to enjoy the privilege of modern conveniences without the noise and pollution. Seville is ideal for people looking for comfort and luxury without wanting to compromise their safety and convenience.The development is located in Bagumbong Rd, Caloocan City. The development is close to different schools, markets, hospitals and other business and commercial hubs for the convenience of the residents. Some of the nearby establishments in the area include Bagumbong Market, Young Achievers school, San Lorenzo Clinic, and so on.Seville is filled with different amenities and features that will improve the lifestyle of it residents. Security is essential to Camella; therefore Seville has been enhanced with a perimeter fence and a security entrance that is guarded at every hour. The amenities in the community include a Playground dedicated for children in the community to have fun and socialize with their peer. The development also features a clubhouse for families to socialize and have fun. The project offers a townhouse ( inner and end unit) and a single firewall with different prices. The units are available at a cost range of Php 1.9M to Php 2.4M. Camella Sienna Villas is a 20.7-hectare residential development located in the middle of the bustling city of Caloocan. Sienna Villas is perfect for families looking to settle down in a strategic place to live and spend quality time with their family and loved ones. The development was made by Camella, one of the most trusted real estate developer in the Philippines with years of experience and expertise. Camella has done other similar successful project in the area.Sienna Villas is located at Bagumbong Road, Caloocan City. The development is located right beside a 3 phase project of Palmera Homes named Tierra Nova Royale. The location is accessible through the Susano Camarin Zabarte Road and the Commonwealth avenue. It is near major malls like Robinson's mall and SM Fairway. One of the best features of the project is that it's located within churches, schools, and business and commercial hubs like St Lorenzo Clinic, St. Blaise Clinic, Sta. Kruz Parish, Our Lady of Angels Schools and North Luzon expressway. The Camella Sienna Villas is a perfect residence for families looking for a safe environment without compromising their convenience and fun. The development is fully fenced with an Italian inspired gate and a security system just for the protection of the residents. The development has a playground where families can have outdoor fun with other families in the community. The development also has a clubhouse where families can gather, socialize and have fun. 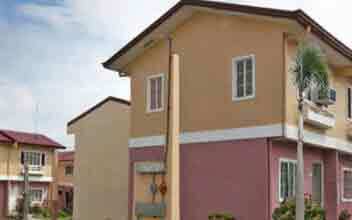 The residence offers a house and lot with an approximate unit size of 63 SQM. The development is available for a price of Php 1.7M. 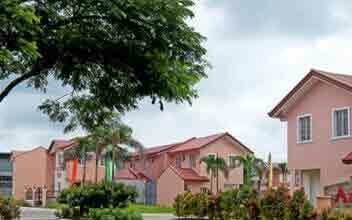 Tamara Lane is an 8-hectare community development located in the north of Manila in Caloocan. The project was made by Filinvest, one of the most trusted real estate developer in the Philippines with years of experience and expertise. The Tamara Lane Caloocan is an Asian inspired community with a high elevation compared to other cities in the Metro Manila which make it flooding almost impossible in the area. The village is General Luis St. Brgy. Kaybiga, Caloocan City. It is near different prestigious schools, hospitals, and malls. Some of the prominent establishments in the vicinity include Miriam faculty of Quezon City, International Graduate School of Leadership, St. Augustine school of Nursing, Hope General Hospital, Dihmesco General Hospital, SM City Fairview, Ayala Fairview Terraces, SM City Fairway Premier, SM Center Valenzuela and so much more. Like most of Filinvest projects, the Tamara Lane is full of different social amenities like clubhouse, adult & kiddie swimming pool children's playground, tree park, basketball court, multi-purpose hall, and much more. Tamara Lane has different unit types starting with a one bedroom unit with an area of 38 SQM and a price of Php 1.8M, two bedroom unit with a price of Php 1.8M and a size of 80 SQM, and a four bedroom unit with a price of Php 2.5M and a vast area of 110 SQM. Lots only are also available, one has an area of 110 SQM and a price of Php 2.5M, and the other has a price of Php 2.6M and a price of 314M. The North Grove is a residential community located in one of the most progressive locations in the North of Caloocan City. The development is located on a 12,891 SQM prime property that will later grow into a medium-cost residential condominium project. The project is set to have eight residential buildings with a modern Asian design. The development is familiar and yet comfortable with different exclusive amenities with various social amenities like a swimming pool, clubhouse, and parks & playground. The gated community is also lined with thick foliage and full grown trees. The location is convenient with different modern establishment s that reduce costs of transportation for all the residents. The development has eight buildings with a total 722 units.The North Grove is located at 282 Susano Road Camarin. The development is located in the bustling Susano Road Camarin Novaliches, in the vicinity of Caloocan City. The modern Asian concept residential development will be host to eight elegant design buildings with each offering 20, 24 and 30 SQM floor area. The buildings are also filled with safety features like fire sprinklers, tiled corridors, an elevator, and two stairs with a fire exit on every floor and drying cages on the roof deck. P.A Metro made the development, and it features different social amenities like swimming pool, clubhouse, area for parks and playground, and much more. The North Grove provides a unit with size that ranges from 20 SQM to 34 SQM. The price of the development also ranges from Php 0.9K to 1.8M.